Do you know one of the best things about being a blogger? I get to start celebrating holidays early so that I can have lots of delicious holiday recipes for you to enjoy! You see, I'm kind of a Christmas addict. I wait for Christmas from January 1st, itching to get my Christmas bowls and mugs and plates out once again and anxiously awaiting the moment I can fill my kitchen with the smell of Christmas spices and freshly baked cookies. And as soon as Christmas decorations start hitting the stores, I consider it an acceptable time to begin my Christmas celebrations. (Even though I'm supposed to wait until after Katrina's birthday - November 20th). Gingerbread cookies are baked in their dozens, buttery shortbread sits on top of the kitchen bench in pretty glass jars, cake domes are filled with homemade healthier pecan pies and mini mince pies and I anxiously await Katrina's birthday so I can then break out the Christmas plates. 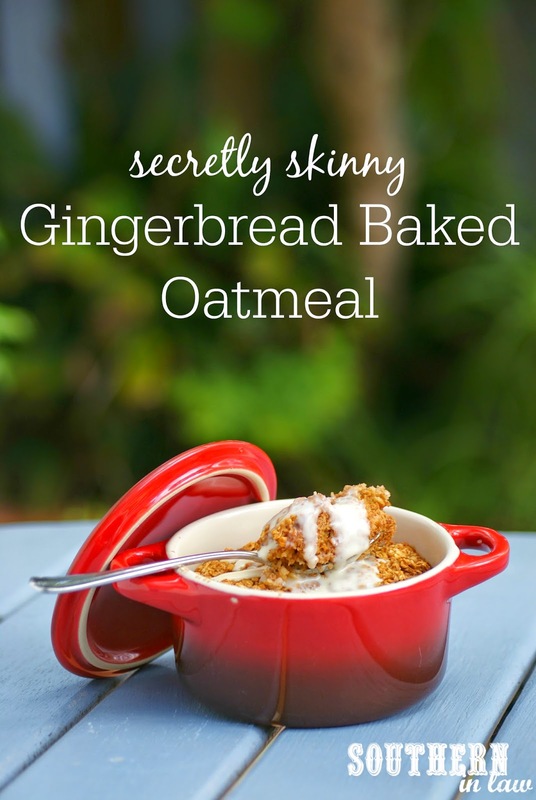 This baked oatmeal recipe started our Christmas recipes for this year. It was a rainy miserable day and I reaaaaallly wanted warm and comforting breakfast foods - but I was also desperate for Christmas flavours - so I combined the two. 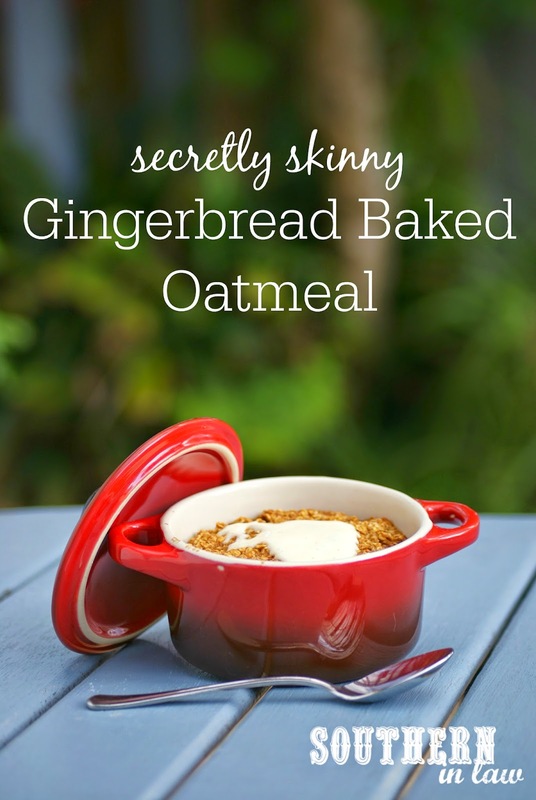 What I created was the most incredible Gingerbread Baked Oatmeal recipe that tastes seriously decadent but is totally healthy - and gluten free, low fat, vegan and so simple to make. 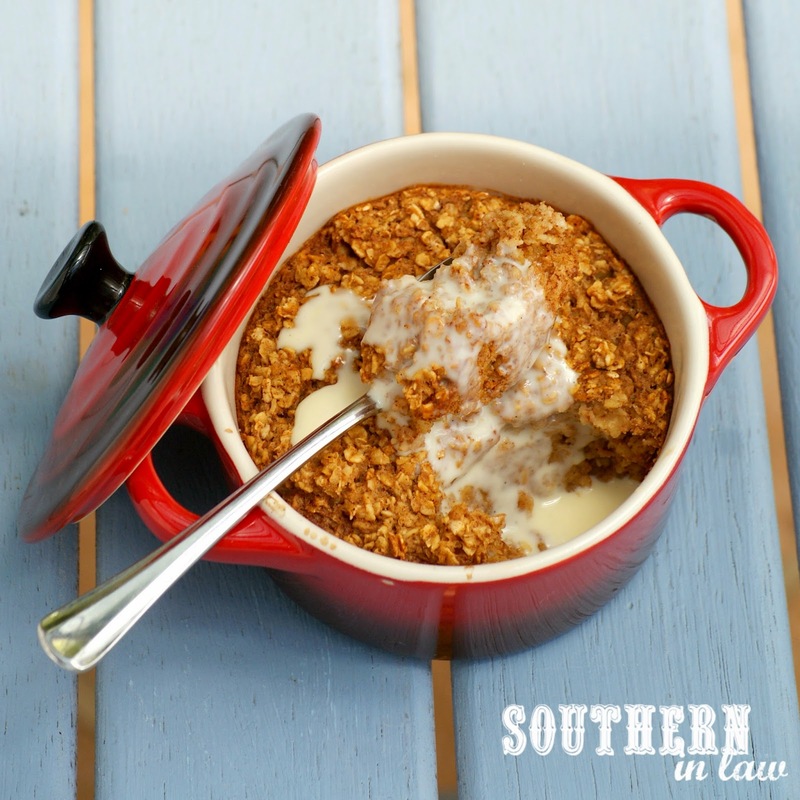 It's a single serve recipe, however, it can easily be multiplied for a Christmas breakfast or brunch. You can eat it on it's own, however, I seriously recommend adding a little decadence with a drizzle of fresh cream, mixed with vanilla extract (or even some custard or vanilla creme anglaise!) - you won't regret it! Optional: If you like things sweeter, add ~1/2-1 tbsp maple syrup/honey/sugar to your oatmeal mix. Bake your oats for 15-25 minutes, or until set and golden on top. Eat as is or top with some cream (we like ours mixed with a dash of vanilla extract), custard, vanilla creme anglaise, cream cheese (we often make a faux-frosting mix by mixing cream cheese with a dash of maple syrup) or whatever you fancy! 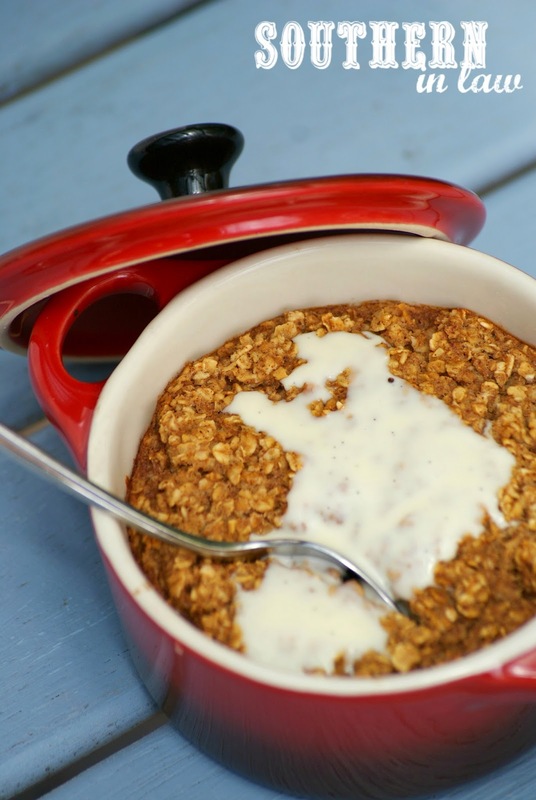 **Quick oats will give you a softer texture, whilst rolled oats will give you a heartier, slightly chewy baked oatmeal. But tell me, are you a Christmas Fanatic like me? What are your favourite Christmas foods? And when do you think is an acceptable time to start your holiday celebrations? I love baked oatmeal that I can mix up the night before and bake in the morning. That way I have a delicious healthy breakfast when I'm still not on top of my game for the day. Do you think this recipe will work if it sits overnight in my fridge before baking? For the best results I'd probably suggest cooking it the night before and then heating it up in the morning. That way the texture will be perfect and you'll save time in the morning too! This sounds delicious! And a super healthy recipe, dates are a great replacement for refined sugar! Sorry everyone is bagging on your recipe, I think it's great!